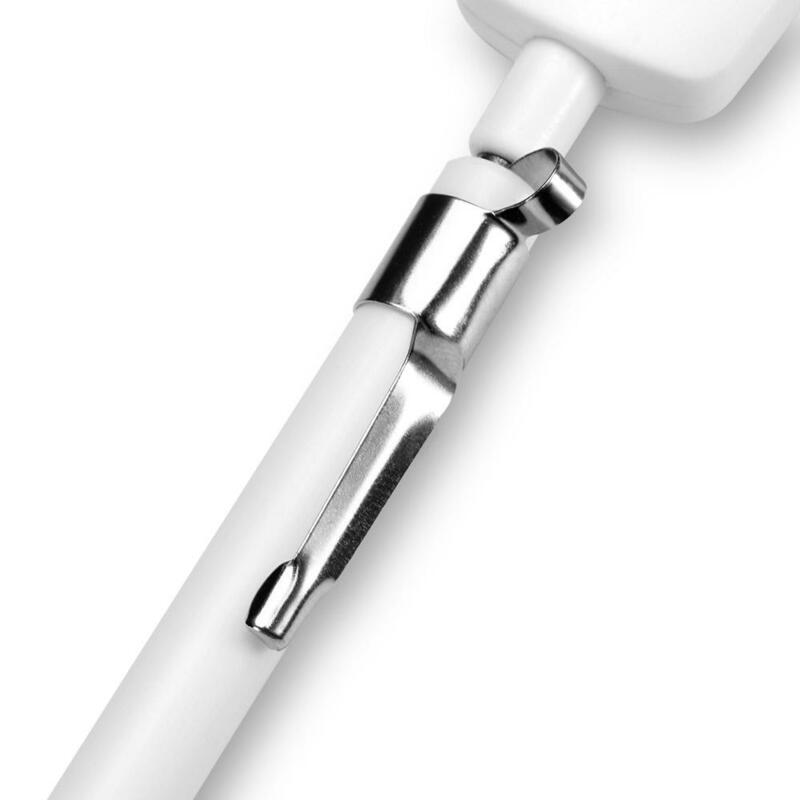 probe is low power consumption and instant-read. 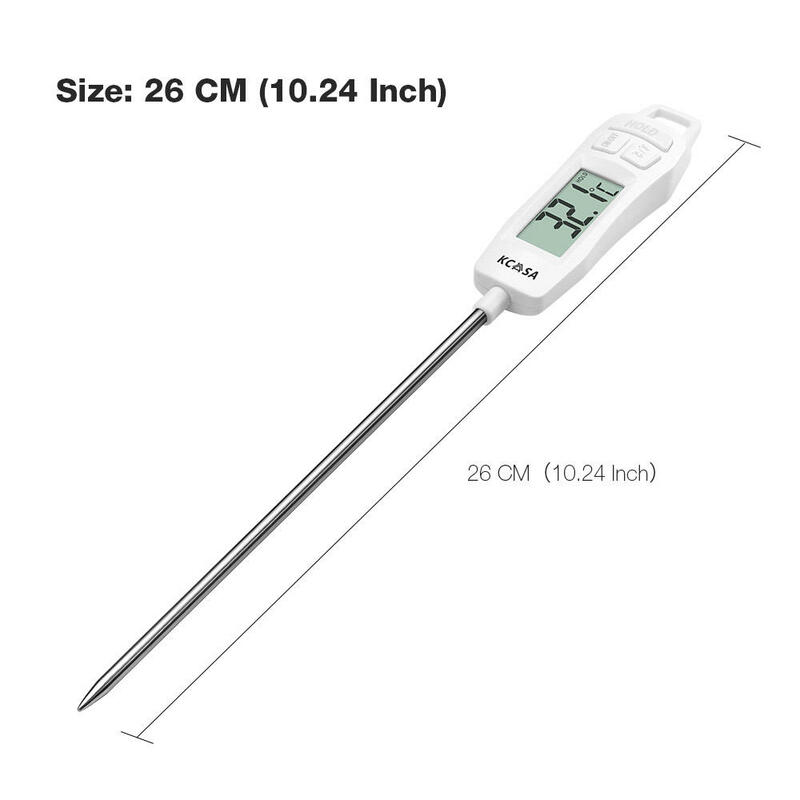 Newest K Style Thermocouple : Not only allows you meaasure in high accuracy, but also much faster than general other thermocouple. 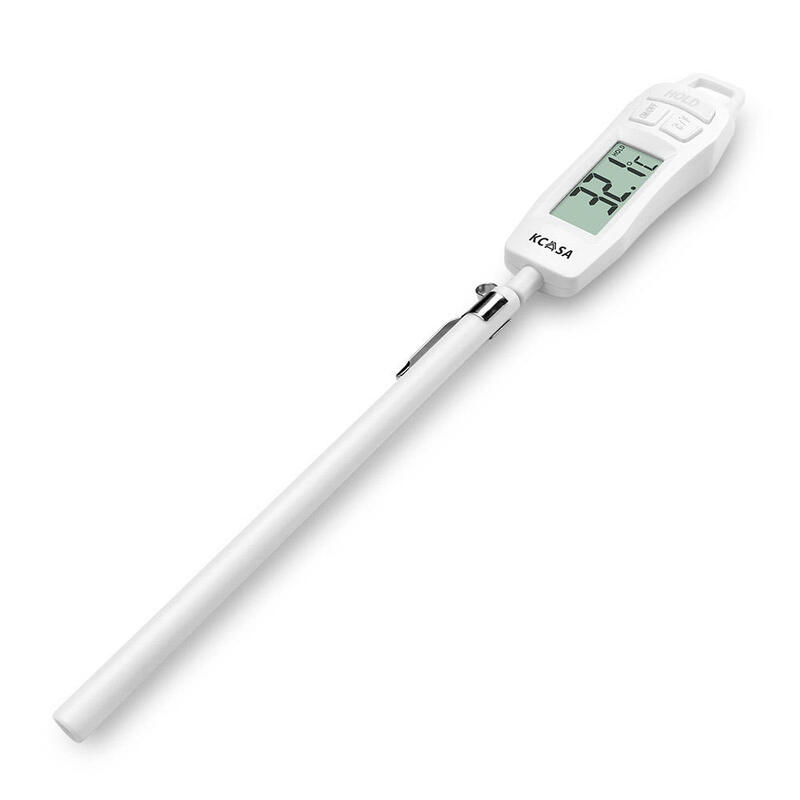 Instant-Read : Compare with other thermometer, KC-TP400 takes 5s to reach the same temperature. 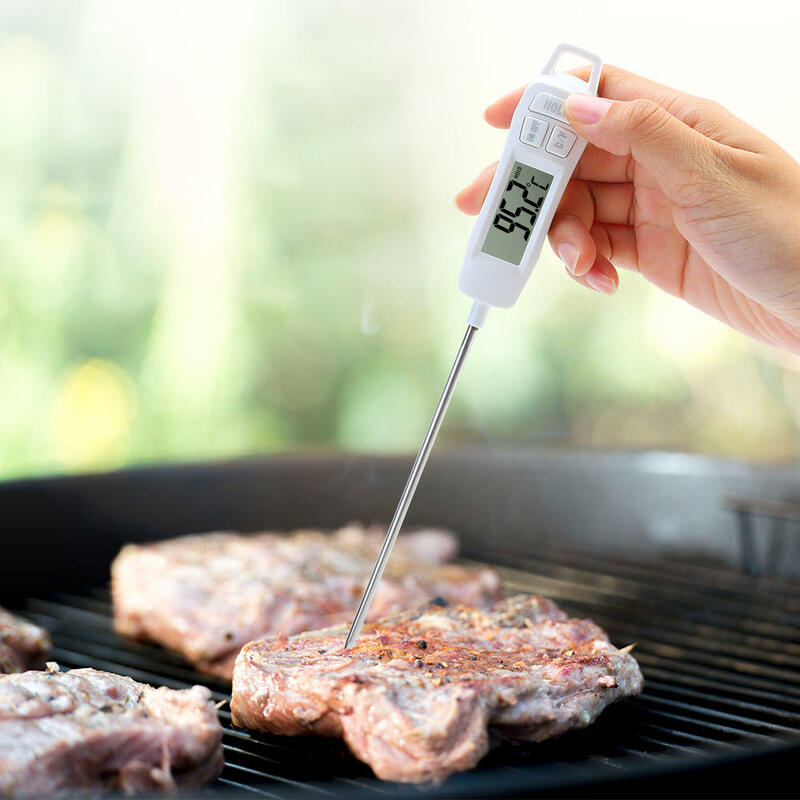 High Temperature Range : -50°C ~ 300°C° measuring range makes it perfect as an oven thermometer or food thermometer. Large Clear LCD Display : Large LCD display without shadow makes your reading clearer. meat juices stay in the meat. Double Protection : With container and protective cover, KC-TP400 is easy to storage and carry.